Unfortunately Lotto Luck is now closed. Lotto Luck operate four different Lotto games with some massive jackpots. You could win millions!! Play in US Dollars or Euros. Pick 6 from 30 numbers in a draw that runs every 60 seconds! You can play from as little as $ 0.10, and win up to $ 30,000.00 per “pick”. 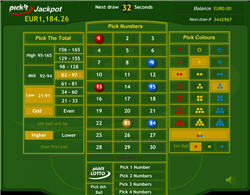 There are various exciting picks for you to choose from and a progressive jackpot to be won! Instant win lotto game. 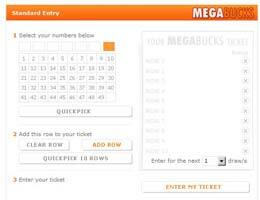 Select from 1 to 10 numbers and choose your stake. Press the Play button and see how many numbers you selected correctly – the more you match the more you win! Top prizes are progressive jackpots. Like a slot machine except you guess whether any one of the 4 reels will land on a higher or lower number. Guess right and you win! Win the jackpots when all the numbers come up equal. The Lotto Luck lotteries are authorised and controlled by the government of Liechtenstein, a small sovereign state in the heart of Europe that is a member of the United Nations and of the European Economic Area. The site plays in US$ or Euros. Comments & Feedback on "Lotto Luck Review"